I spent a great time in Louisiana, Tennessee and Georgia last January and February. I taught in Metairie, near New Orleans. The workshop venue, David Art Center, is one of the best workshop rooms I have ever seen and Nola’s atmosphere makes each teaching experience looks unique. Thanks to Barbara Otey (from California Watercolor Workshops) for organizing everything so well. After Louisiana I headed to Myrtle Beach (South Carolina). 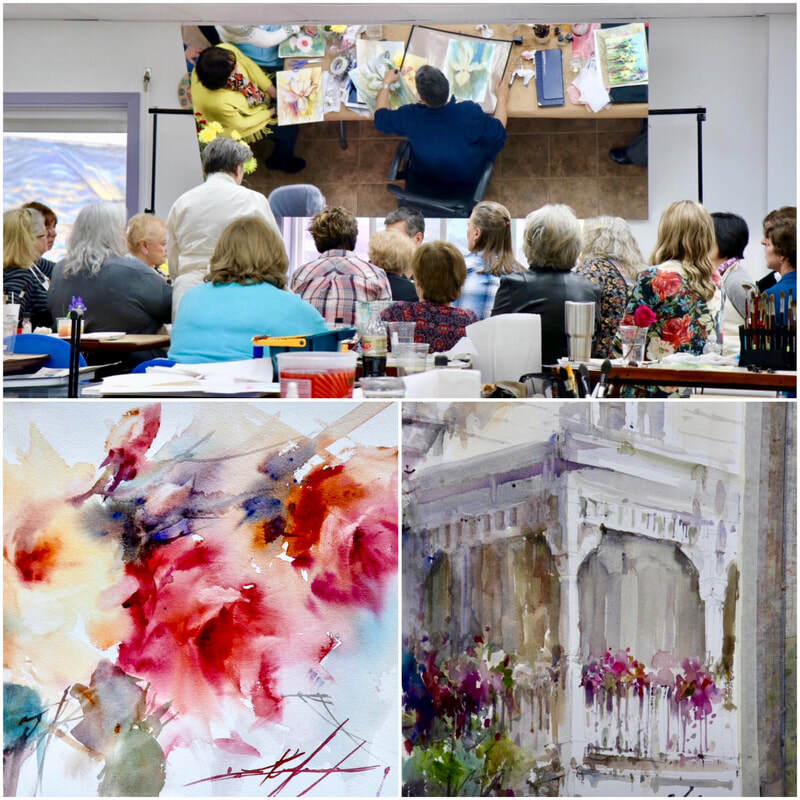 I taught a 4 days workshop in South Carolina (amazing trip from Nola to South Carolina, we could visit Memphis, Nashville, Atlanta, Savannah and Charleston). Another unique experience with a great group of watercolor artists. 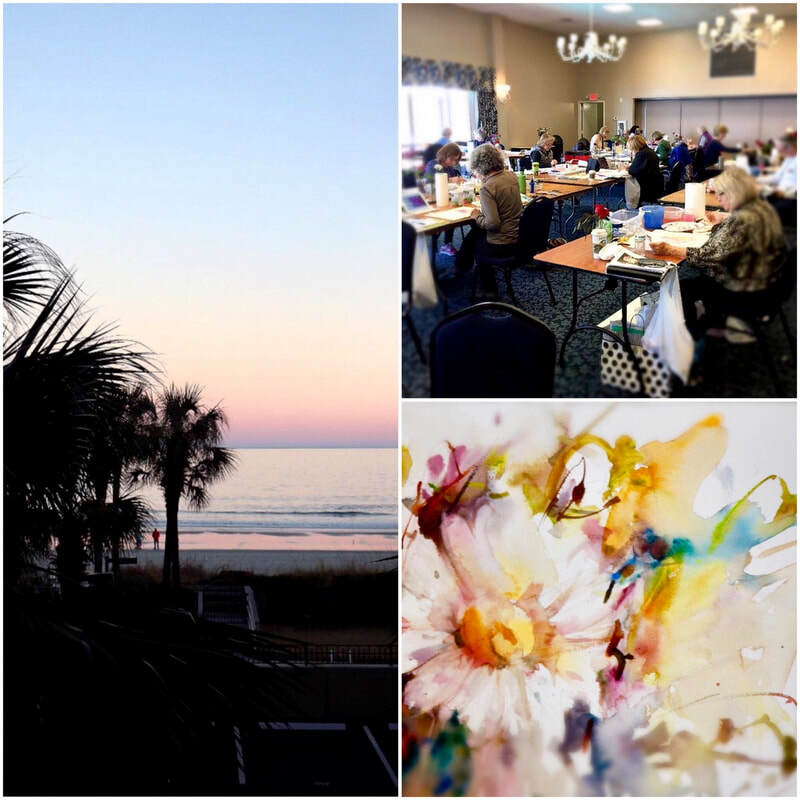 Thanks to Rebecca Zybel, a talented artist based in Myrtle Beach for organizing my workshop. I loved it! I paint watercolor on paper, that’s my favorite surface. I use cold pressed paper, 140 lb, Moulin du Roy or Arches (it depends on the subject). Sometimes I like to paint on YUPO, a synthetic water resistant paper. You can’t use too much water on YUPO (a juicy pigment is better as it’s not going to be absorbed) and all pigments are going to dry by evaporation. Once your painting is dry you will need to use something to seal and protect your artwork, a fixative product. It’s a tough paper, there are some unpredictable effects but it’s worth trying if you want to practice “the pigment lifting”. You can lift out almost everything easily and most of my technique is based on pigment lifting. Here you can watch a quick YUPO demo, hope you enjoy it ! 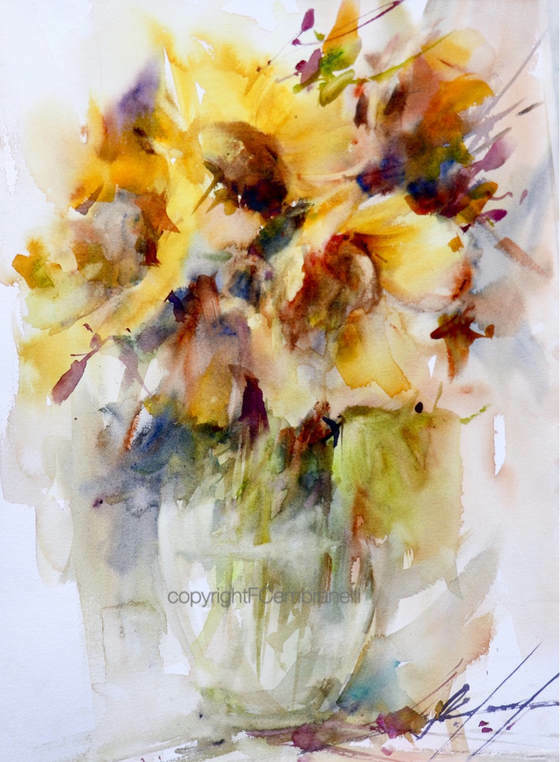 Would you like to join one of my 2018 Watercolor Workshops?